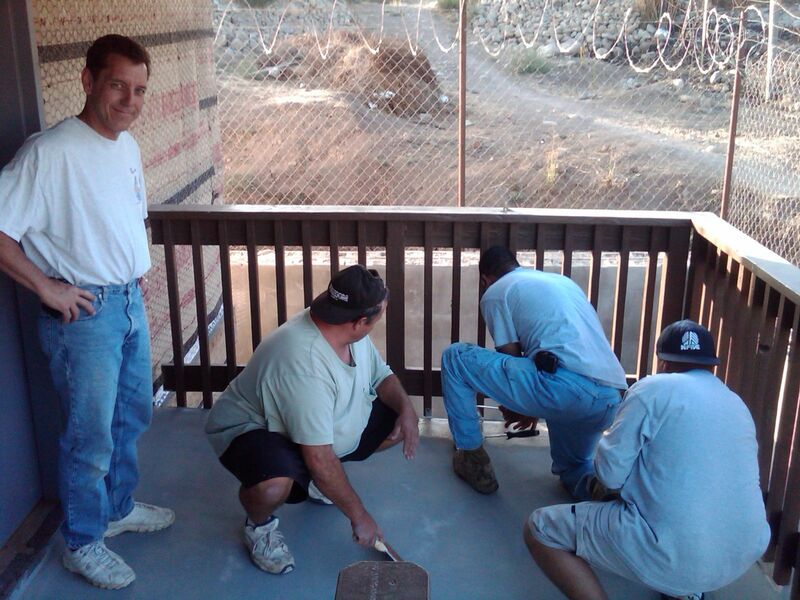 Over the past few months a brother from Horizon Christian Fellowship has taken on the project of waterproofing our walkway and second floor patio. Eric, a general contractor, spent several weeks researching the best solution. After several checks and re-checks he made the call and began the process of applying a three part polyurethane coating to our deck and walkway. Sunshine Supply Company donated all of the materials. Eric and a few guys from his crew have been down four times in the last week to apply the coating. It has blessed me tremendously to see these guys drive for an hour to get here after a full day on the job, work two more hours and then make the two hour drive back across the border and home. Pray - Pray for these guys as they spend time away from their families doing God’s work. Pray for Eric’s crew, that they would have an encounter with their creator that would change them forever. Pray that God would protect them and bless them beyond what they can imagine.